Libya is one place the “Islamic State’s” sponsors believe Russia can’t get them… In 2011, a NATO coalition led by the United States used its own engineered regional campaign of political destabilization, the “Arab Spring,” as a pretext to militarily intervene in first Libya directly, and in a more indirect way, Syria. US and European forces also “quietly” intervened in several other nations, including Mali and the Ivory Coast amid this regional conflagration. Their war for freedom in Libya may be over, but almost a year after they won the battle for the Libyan capital, a group of fighters have a new battlefield: Syria. Under the command of one of Libya’s most well known rebel commanders, Al-Mahdi al-Harati, more than 30 Libyan fighters have made their way into Syria to support the Free Syrian Army rebels in their war against President Bashar al-Assad’s regime. There may now be up to 6,500 ISIS fighters in Libya, twice the number previously thought, according to several U.S. intelligence officials. 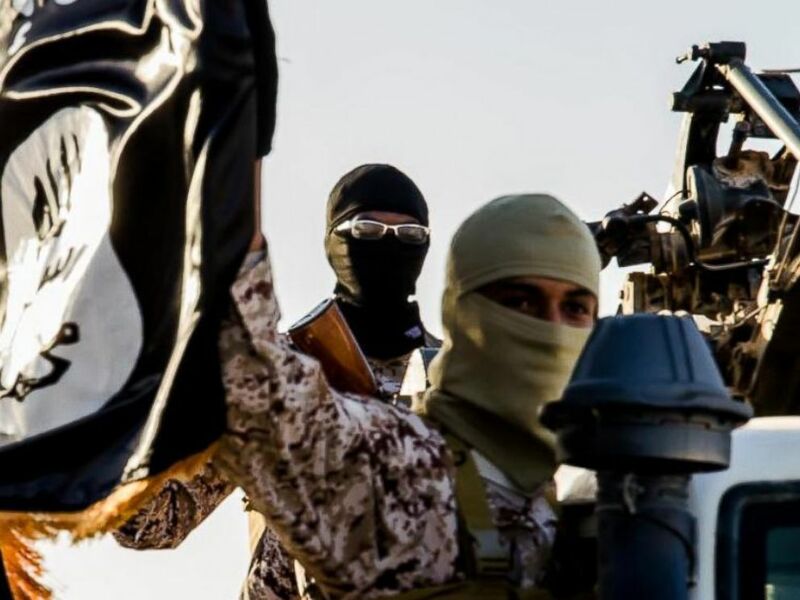 They attributed the increase to the U.S. analysis that ISIS is diverting more fighters to Libya from Syria — and from Turkey when they cannot get into Syria. It is ironic because the so-called “Islamic State” (IS) is using precisely the same logistical, financial and political networks to flow back into Libya that CNN’s “freedom fighters” used to get to Syria in the first place. In fact, it is quite clear Libya is simply reabsorbing the mercenary forces organized and sent to Syria in part through direct US-backing in the Libyan terror capital of Benghazi since late 2011 onward. Despite endless pledges by the US and Europe to take on IS in Libya, neither has admitted they themselves and their actions in 2011 predictably precipitated IS’ rise there in the first place. Despite the predictable danger destabilizing and destroying Libya posed to Europe, including a deluge of refugees fleeing North Africa to escape the war in Libya, predicted by many prominent analysts at the time even before the first of NATO’s bombs fell on the country, the US and Europe continued forward with military intervention anyway. Today, we watch what appears to be “ineffective” attempts to confront the growing threat the US and its allies intentionally created in Libya in the first place. In reality, as Russia has proven in Syria, a decisive and relatively small military campaign can deal IS a deathblow. The US and Europe are more than capable of executing such a military campaign, but is intentionally avoiding doing so. This is not for a lack of political will, but rather because their collective political will instead seeks much wider chaos giving them carte blanche to act regionally with spanning, open-ended military interventions.